Indulge on fresh local seafood at Adria Bar Restaurant! 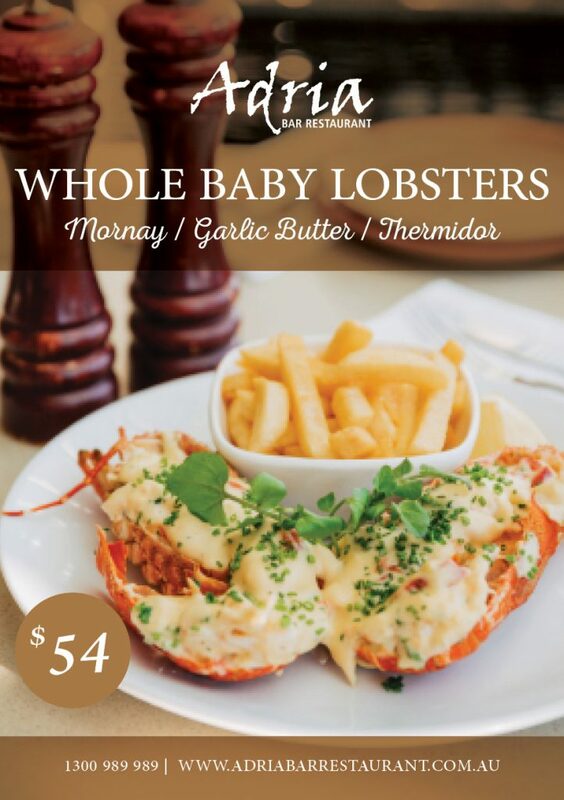 Satisfy your cravings with our fancy baby lobster special for just $54.00! Choose to have it served your way: mouthwatering mornay, delicious garlic butter or the famous thermidor!